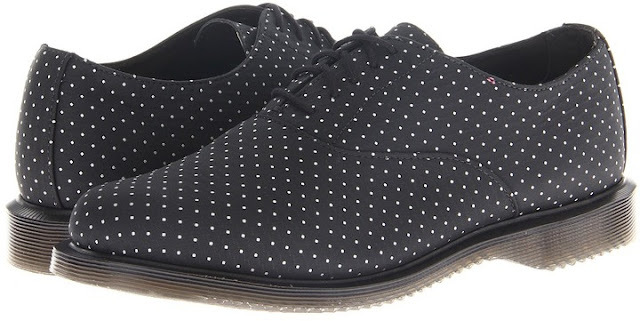 · The Briar 5-Eye Oxford from Dr. Martens® serves up some sophisticated fun with its pin dot pattern and classic outsole. · Part of the Kensington Collection. · Synthetic upper with pin dot detail. 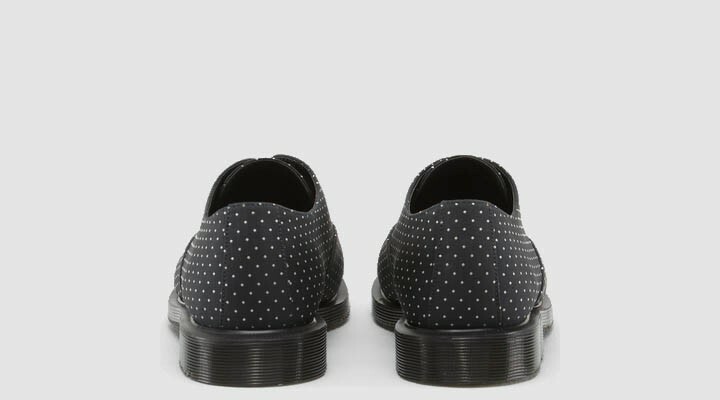 · Traditional lacing with five sturdy eyelets. · Interior leather and textile lining. 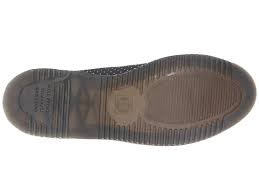 · Lightly cushioned footbed for added comfort. · Goodyear® welt construction heat seals and then stitches the upper and sole together for superb flexibility and durability.